As a highly specialised consultant orthopaedic hand and wrist surgeon, Mr Lorenzo Garagnani treats the whole spectrum of disorders of the hand, wrist and peripheral nerves of the upper limb, both in adults and children. 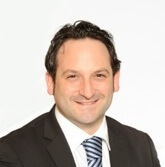 As a specialist hand surgeon, Lorenzo has worked at the Humanitas Clinical Institute in Italy and was locum consultant at Chelsea and Westminster Hospital in London. He was also consultant at the Department of Hand Surgery and Microsurgery of Policlinico di Modena University Hospital in Italy, where he jointly led the busy Paediatric/Congenital Hand and Upper Limb Anomalies Service. Lorenzo was appointed consultant orthopaedic hand and wrist surgeon Guy’s and St Thomas’ in 2015. In 2017, he became hon senior clinical lecturer at King’s College London. Lorenzo’s activities include supervising and teaching specialist trainees, hand fellows and King’s College medical students. He is the author of numerous scientific publications that include papers and book chapters, and is a regular speaker at national and international conferences and courses. Lorenzo has a keen interest in history, music, literature, and cinema. He plays the piano and enjoys exploring the world. New minimally invasive techniques that allow reduction of surgical morbidity in hand and wrist surgery. Trained in trauma and orthopaedics, mainly based at Rizzoli Orthopaedic Institute in Bologna, a leading institution in the field of Orthopaedics. Completed sub-specialist training in hand and wrist surgery in the UK, where he was Hand Fellow at the Plastic and Reconstructive Surgery Department of the Oxford University Hospitals, at The Hand Clinic in Windsor, and at Chelsea and Westminster Hospital, and Congenital Hand Fellow at Great Ormond Street Hospital for Children in London. Mr Garagnani is Fellow of the Royal College of Surgeons of England.